These notoriously haunted places share long and violent histories and reports of souls who roam the grounds in search of redemption ... or revenge. “There is certainly a world beyond our normal consciousness from which neither space nor time divides us, but only the barrier of our sense-perceptions … this threshold is not immovable.” ~William F. Barrett, On the Threshold of the Unseen, 1918. They say the past is dead and buried. But when events unfold that are so brutal and violent it can be difficult to leave them behind, even when those involved have long passed from this world. 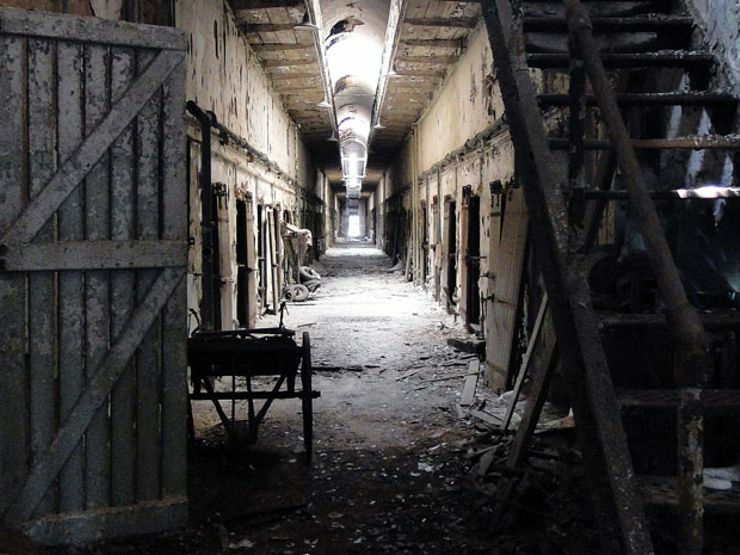 From the streets that Jack the Ripper roamed to mental asylums with dark histories of abuse and torture, here are 10 haunted places where the dead haunt the living, and no peace can be found until justice is served. It’s no wonder that a prison famous for its harsh and inhumane treatment of inmates experiences significant paranormal activity. 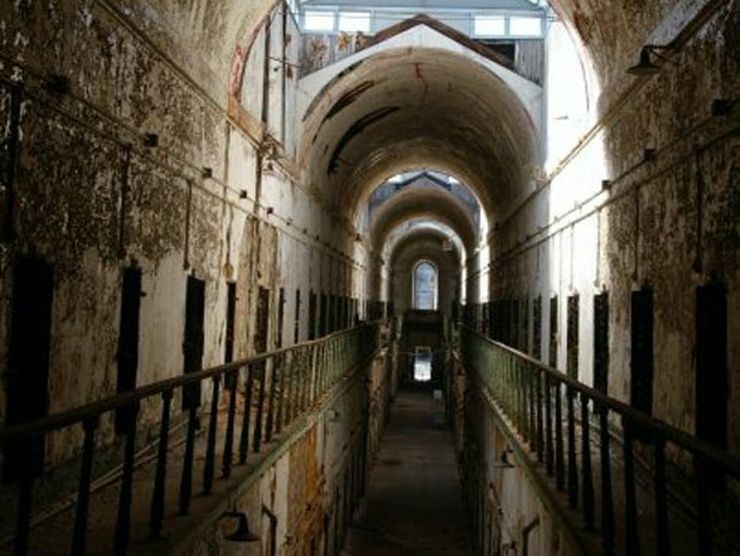 Eastern State Penitentiary pioneered solitary confinement as a punishment for prisoners. Those who misbehaved were completely cut-off from everyone else. Many prisoners were driven insane by the isolation, which led to Eastern State abandoning its punishment program. Paranormal activity was regularly reported while the prison was open. Since its closure in 1971, this activity has only increased. Visitors often claim to see shadow figures and hear whispers and diabolical laughter in certain cells. Hampton Lillibridge House is known as one of the most haunted houses in Savannah, Georgia. The home, which dates back to the late-1700s, was moved from its original location in the 1960s. It seems the eternal residents of Lillibridge did not appreciate the disruption. Paranormal tales about the property run the gamut from the mysterious deaths of laborers and a crypt discovered in its foundation, to a suicide victim’s troubled spirit wandering its halls. The Savannah residence is private property and has struggled to find buyers in the past. Go figure? The Ostrich Inn in Berkshire, England is now a quaint pub. According to lore, however, its 14th-century landlord had very different intentions. When wealthy guests arrived at the inn, the owner led them to a specific room designed for death. His method of killing was extremely gruesome. The bed was rigged with an elaborate trap door system; when a guest fell asleep, the bed tipped upward and dropped the sleeping guest straight through the floor and into a large cauldron of boiling water on the lower level. The guest was boiled alive, after which the owner robbed the victim of his or her belongings and disposed of the body in a nearby river. A reported 60+ people were killed this way, and needless to say, some of their spirits never left. The Banff Springs Hotel is a luxurious tourist destination for wealthy travelers. The hotel was built over 125 years ago, so it stands to reason that there is a fair bit of history ingrained in the walls. 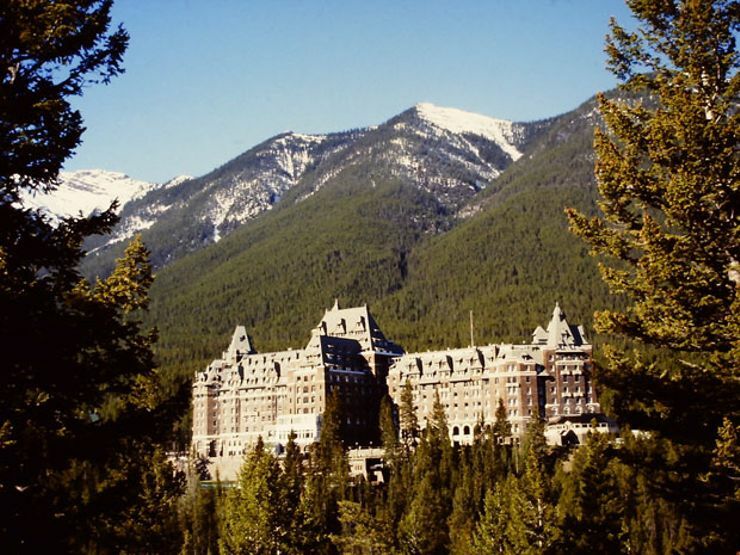 The breathtaking views and stunning architecture is somewhat undercut by the fact that the Banff Springs Hotel is known as one of the most haunted hotels in Canada. Legend has it that a bride tragically died before her wedding here, by either falling down the hotel’s grand stairwell or catching on fire and burning to death. Her troubled spirit wanders the halls at night. Then there’s the eerie tale of missing room 873. There is indeed an empty space between rooms 872 and 874. Some say that an entire family was once murdered in the room. In an effort to cover up the horrific incident, hotel staff sealed off the room. Today, strange cries can be heard at night and handprints are said to cover the wall where the hotel door once stood. The House of Death is aptly named, and is probably most popular for having once been the home of Mark Twain. Passersby claim to see the author’s ghost, though it seems his spirit is benign. The house was also the site of the murder of a six-year-old girl at the hands of her adoptive father. The little girl’s father repeatedly struck her, and she later died from her injuries. In the 1960s poet Jan Bryant Bartell lived in the house and experienced her own paranormal encounters. She summoned a medium, who vocalized multiple spirits residing in the house. Bartell moved out, but killed herself only a few years later. The Queen Mary was an ocean liner that was active in the Atlantic from the 1930s to the 1960s. It has now been converted into a hotel in Long Beach, California. Yet its tragic past remains. 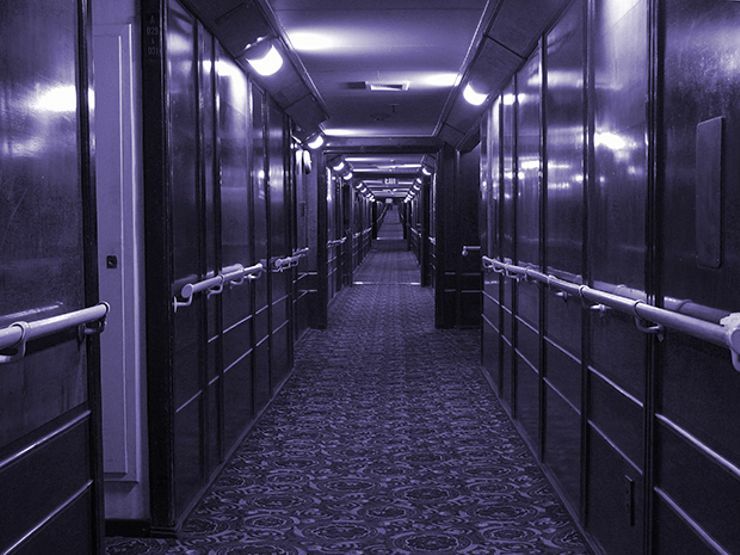 Numerous travelers passed away while on the ship, and their spirits reportedly wander its halls. One particular tale involves the drowning death of a little girl named Jackie. She apparently drowned in the second class pool (which has since been removed). Living guests report encounters with her spirit in Queen Mary’s present-day pool. The Philadelphia State Hospital is one of the most notorious mental hospitals in America, and its staff was known to grossly mistreat the patients. The hospital was overcrowded and understaffed, and many of the staff members took advantage of the mentally handicapped. After the hospital was closed in 1990, many paranormal investigators have found serious ghostly activity on the premises and in the tunnels underneath the buildings. Letchworth Village stands as a pillar of the medical industry, as it is the location where the Polio vaccine was developed. Unfortunately, some patients—including children—served as test subjects for the vaccine. 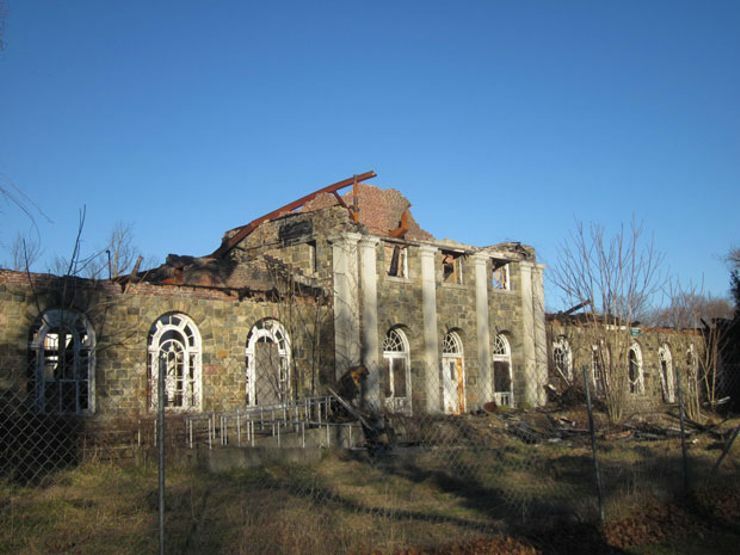 Neglect and overcrowding also plagued the institution; by the 1950s, 4,000 inhabitants were packed inside the Village. Since its closure in 1996, visitors have claimed to hear children giggling and see furniture moving on its own. It stands to reason that these ghosts may have cause to lash out. Jack the Ripper was one of the most notorious serial killers in history, and one of his victims was found on the property of 29 Hanbury Street. Annie Chapman’s head was nearly cut clean off, and her reproductive organs were cut from her body. On the anniversary of her death, it’s said that her spirit returns to this place. At exactly 6 A.M. on September 8th, the alleged moment of her dying breath, a cold breeze is said to blow through the entire property. This story was first published on The Occult Museum. Want more creepy stories? Sign up for The Lineup’s newsletter, and get our strangest tales delivered straight to your inbox.